Before the Internet and the invention of video game consoles, children used their imaginations to play games. Although the Great Depression took place more than 10 years prior to the 1950s, many kids lived in households where its memory loomed. Parents who grew up in the depth of the Depression felt the need to save money wherever they could, so their kids made due with inexpensive games. When the weather allowed, children of the 1950s played games like tag, hide and seek, leap frog, marbles and hopscotch. Leap frog involved kids lining up, bending down, and jumping over each other in a row. Hopscotch required sidewalk chalk, but other than that cost nothing. Since many of these games involved competition, they often kept children occupied for hours at a time. 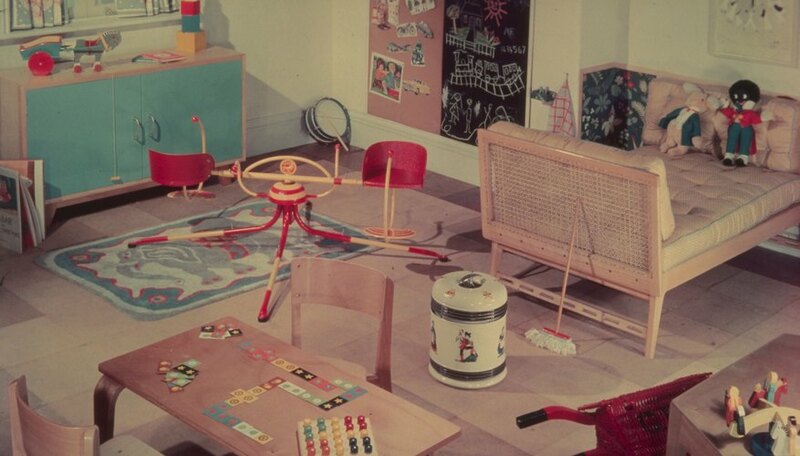 For indoor fun, children played games like jacks and pick up sticks. They also made games out of simple toys like tops and yo-yos. For instance, children might compete to see who could keep the most tops spinning at once. They also taught each other yo-yo tricks and tried to best each other in contests. All these games and toys could be purchased at the local five and dime store. 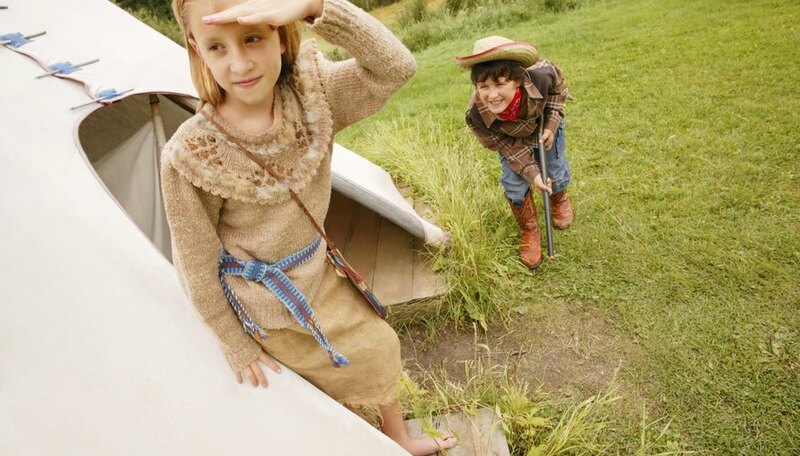 Before video games, children got their action adventure fix playing games like Cowboys and Indians. This game stemmed from Westerns, which constituted a popular movie genre in the 1950s. Today, Cowboys and Indians is considered politically incorrect since the cowboys were always the good guys and the Indians were the bad guys. Children would take on a role and battle each other with plastic weapons. 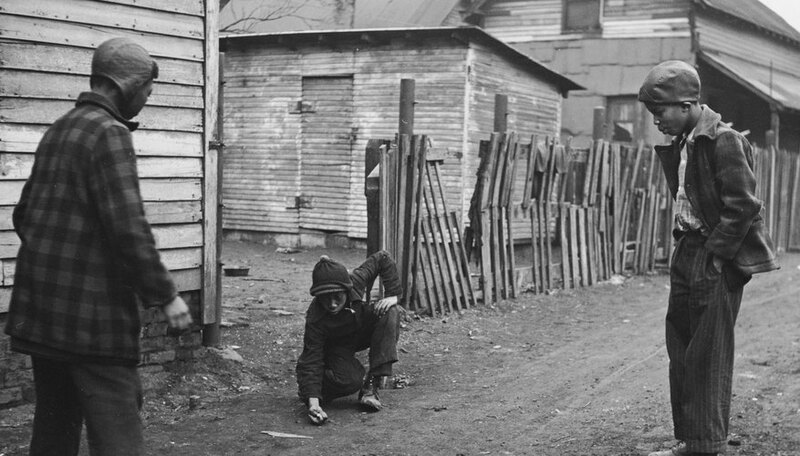 Athletically inclined children organized games of baseball, basketball, tag football or field hockey in their neighborhood streets or the school yard. They also had bicycle races. 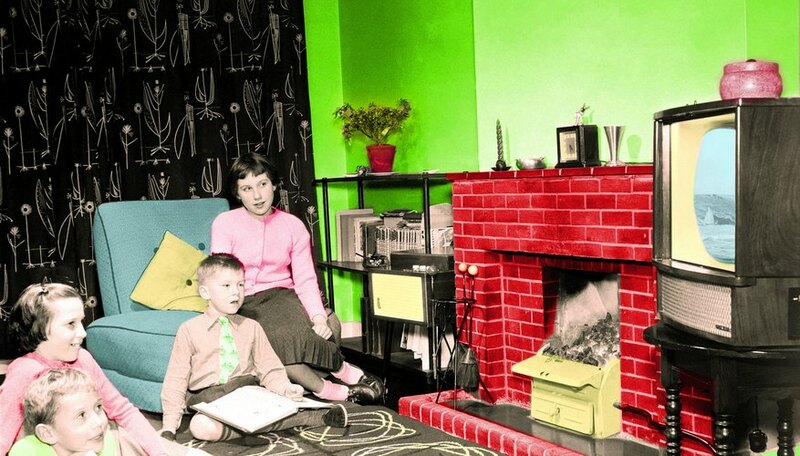 In the 1950s, television marketing was still relatively new, but by the end of the decade more homes had TV sets. 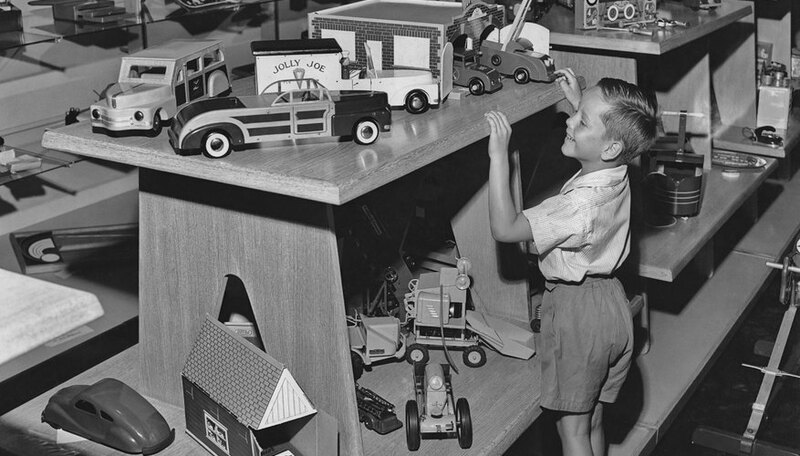 With increased children and family programming came increased advertisements for games and toys. Brittany Bookbinder has been writing professionally since 2010. Her work has been published in "Helicon," Northwestern University's literary magazine, and the Daily Northwestern in the form of a satirical online column. Bookbinder holds a bachelor's degree in theater and creative writing from Northwestern University.